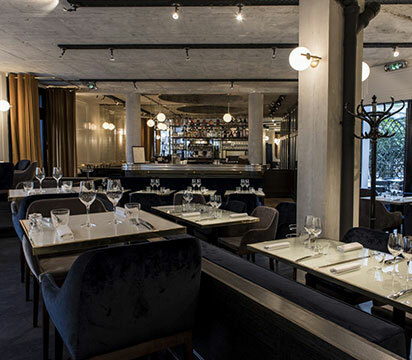 Legendary Parisian venue, the Moulin de la Galette is offering itself a second birth under the leadership of its new owners, Cedric Barbier and Nicolas Tourneville. This unusual duo composed of a high-tech entrepreneur and an adventurer gives life to the historic Montmartre restaurant that is adopting a modern and contemporary atmosphere. In the kitchen, the young chef Anthony Detemmermann officiating, by giving priority to quality products, their provenance and seasonality. In result, a bistro cuisine, traditional and up to date. In the same spirit, the homemade desserts are prepared by the young pastry chef Corentin Magnin. A short menu, concentrated on the essentials, and awfully good. B.D.